Oil For Skin, Hair & Cancer Cells! This is my experience with apricot kernels! ~~~Nancy This is not health information!. Wow! I didn't know it came in an oil!!! Hi everybody! This is ~~~Nancy from YouTube! ☁️☁️☁️☁️☁️ ☁️☁️💗💗☁️💗☁️ At my YouTube channel I've talked a lot about apricot kernels! On this page I'll talk a minute about the benefits of Apricot in this form! If it is beneficial in this form then it would be quick and easy to use! This sounds very interesting! 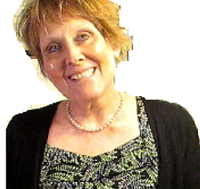 Here's a link to a video titled: I Beat Cancer With Vitamin B17 by Sandi Rog! My video below speaking to about Soaking and Chewing Apricot Kernels! Note: Here is an image of a tumor growth - this is on my dog Sara's skin! "There are many nutritional benefits of eating apricots. This is a rich source of minerals that cures anemia, asthma, tuberculosis and bronchitis. But, are you also aware of the ..."
At the website below there are uses and beneifts of this! It says you can massage your hair with it! It has linoleic acid - which is good for hair! I'm going to get some of this! Then I'll talk about it on a video at my channel!